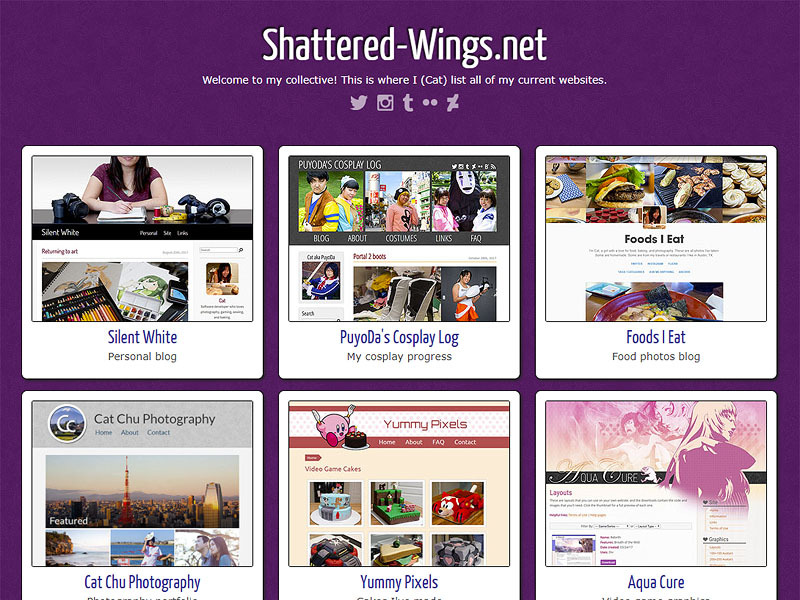 In version 24, I finally stopped categorizing my websites and listing them all in one place. This worked out since I was working on decreasing the amount of sites I owned. In 2017, I went back and edited the layout again, this time taking out the links to other sites and increasing the size of the screenshots (and also making it retina and mobile friendly). 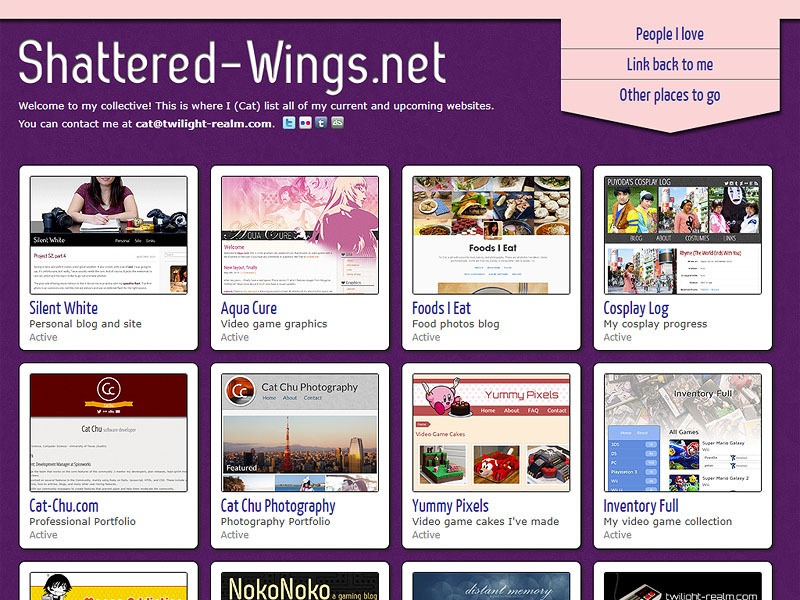 This design has stayed for many years, due to how easy it is for me to add/remove sites.